A version of this was originally posted on LinkedIn. I'm excited to announce GE Digital’s strategic partnership with SIG, a leading provider of packaging systems and solutions for the food and beverage industry. 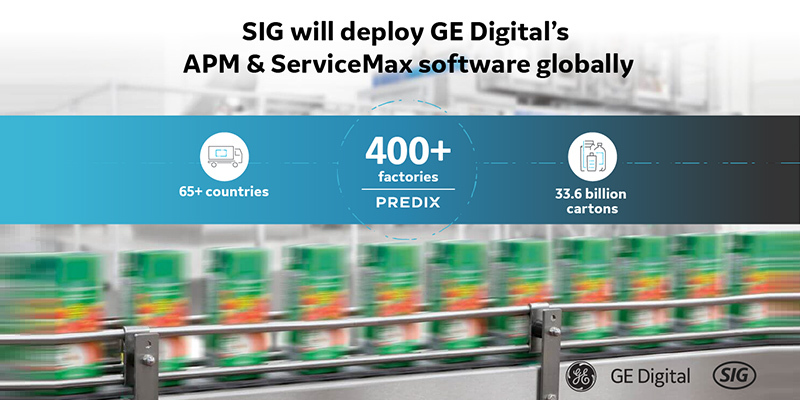 Together, we will bring digital innovation to the food and beverage packaging industry by deploying our Predix Asset Performance Management (Predix APM) and Predix ServiceMax applications across more than 400 customer factories worldwide--driving new levels of efficiency, creating intelligent solutions, and enabling new possibilities for SIG's customers. Click here to learn more about how GE Digital is helping SIG own the productivity of its assets and establish itself as a leader in the transformation of food and beverage packaging. Bill Ruh was the former chief executive officer for GE Digital.